Just a short NOTD post Today guys! I’m loving coral at the moment, there’s something very Summer’esque about this borderline orange/pink shade, and with our UK Summer gone in such a hurry I desperately needed a mood lifter pronto! 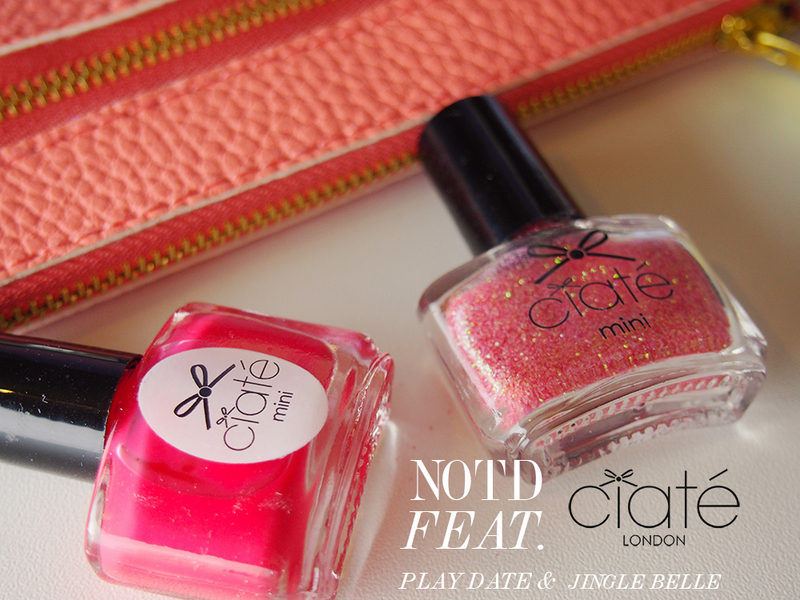 This week I’ve been wearing Ciate Nail Polish in Play date with Jingle Belle as a glitter accent nail. If you guys have tried Ciate polishes before you’d all agree that application is super smooth and dries to a second to none, high shine finish! 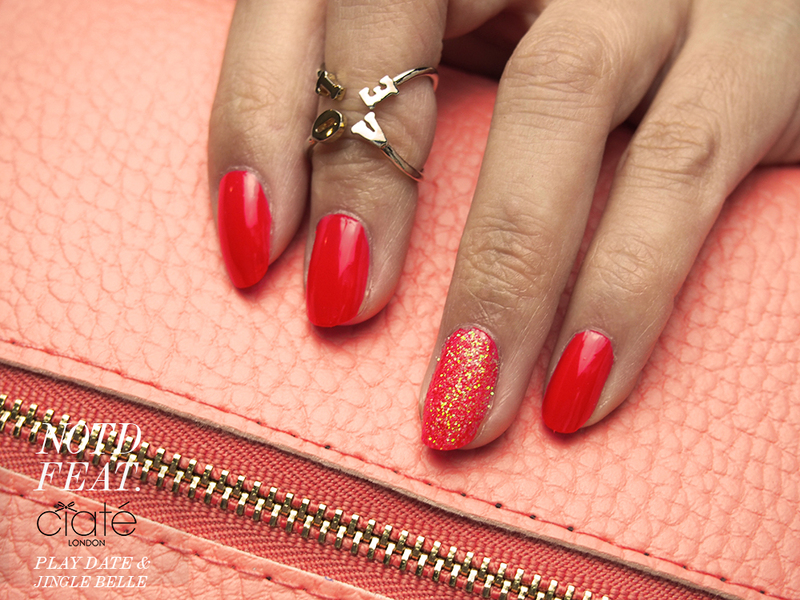 Play date is a coral red with more hints of hot pink than orange and gives an opaque result in just two even coats. This shade works great on tanned or warmer skin tones! Perfect for Summer! What pick me up colours are you sporting lately? 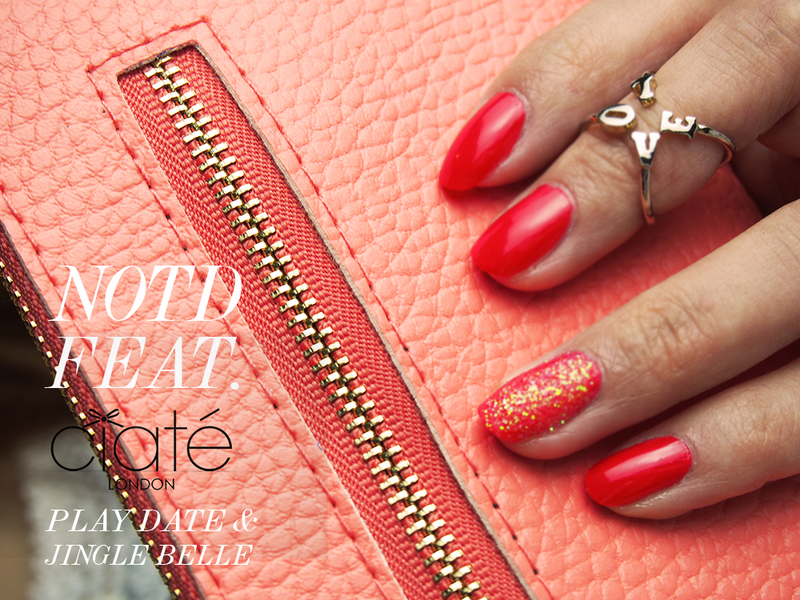 Tags: ciate nail polish, coral nails, Nail Polish, Nails, NOTD, playdate, Summer nails. Bookmark the permalink. Very pretty color and I’ll nominate you! Love your blog! Good luck! Jingle Belles matches perfectly with Play date :) I like this manicure sooo much!! !